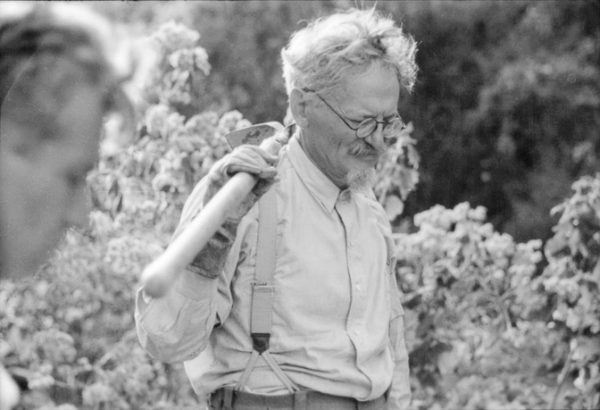 Trotsky in Mexico, 1940, Hoover Institution. Fourth, Marxism was militantly assimilationist, viewing the continuation of Jewishness – Jewish religion, culture, and peoplehood – as historically reactionary, particularist, and communalist. In short, Jewishness was viewed as an embarrassing obscurantist diversion from the class struggle. This failure of vision was part of orthodox Marxism’s wider failure to adequately grasp any oppression that was not directly reducible to class. Despite Marx’s own 1864 Critique of the Gotha Programme being not just open to, but positively celebratory of, sensuous particularity and difference, most post-Marx Marxists failed to see that the concept of equality should include the equal right to be different. Fifth, Marxists failed to appreciate the Jewish question in its dimension as a national question. They struggled to adequately theorise the nation per se, elaborating lists of objective criteria while neglecting ‘the subjective processes of forming a community of culture, united by a collective destiny’. The ‘Pope’ of Marxism, Karl Kautsky, had issued his edict: the Jews were not a nation. The assimilation of the Jews was, anyway, assumed to be inevitable and progressive, so the question irrelevant. 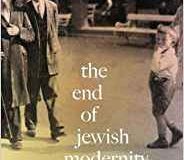 In consequence, Traverso argues, the Marxist understanding of the Jewish question in Eastern Europe was ‘deprived … of its national character,’ mis-reading antisemitism as a purely ‘economic and political problem (the role of Jewish commerce, the consequences of the antisemitic legislation, and so on)’. In this, history had been Trotsky’s teacher. ‘He admitted that recent experience with antisemitism in the Third Reich and even in the USSR had caused him to give up his old hope for the “assimilation” of the Jews with the nations among whom they lived’, recalled Deutscher. Traverso concurs: Trotsky became ‘convinced of the necessity of a national solution to the Jewish problem’ because he became ‘conscious of the impasse into which assimilation had entered’. Norman Geras pointed out that orthodox Marxism offered the Jews only a ‘spurious universalism’ as only the Jews were being told to ‘settle for forms of political freedom in which their identity may not be asserted collectively’. 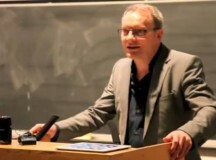 Joel Carmichael, author of a study of Trotsky, put it particularly bluntly: ‘ … all classical Marxism had to tell us was that the Jews, having survived for discreditable reasons, should finally toss in the sponge and vanish.’ Traverso says the gravitational pull of Enlightenment culture on Marxism meant that Marxists wanted to emancipate the Jews ‘without recognising them’. The assimilationist dogma, he argued, was one cause of the ‘constant attempt to suppress the Jewish problem’ within the Marxist movement. Rosa Luxemburg, for example, argued that ‘[f]or the disciples of Marx and for the working class the Jewish question as such does not exist’. Traverso warned that ‘this repression has continued until today’. 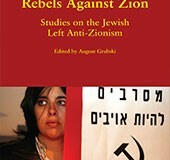 By 1937, aware of the Zionist movement, Trotsky argued that ‘the very same methods of solving the Jewish question which under decaying capitalism have a reactionary and utopian character (Zionism) will, under the regime of a socialist federation, take on a real and salutary meaning,’ asking ‘how could any Marxist or even any consistent democrat object to this’? So, even though he thought only a socialist revolution was capable of enabling a ‘great migration’ of the Jews, Trotsky plainly thought desirable something akin to what we would today call ‘the two states for two peoples’ solution. How else are we to interpret this statement: ‘The dispersed Jews who would want to be reassembled in the same community will find a sufficiently extensive and rich spot under the sun. 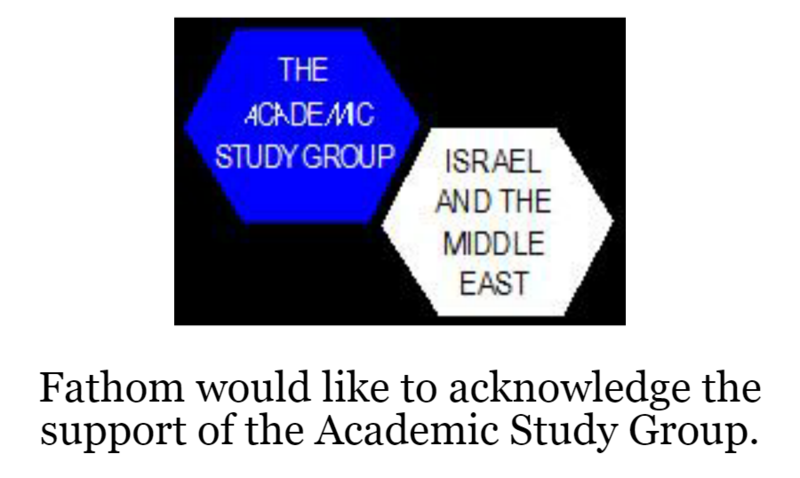 The same possibility will be opened for the Arabs, as for all other scattered nations.’ Why mention ‘the Arabs’ if the spot he had in mind was not Palestine, but in Eastern Europe? 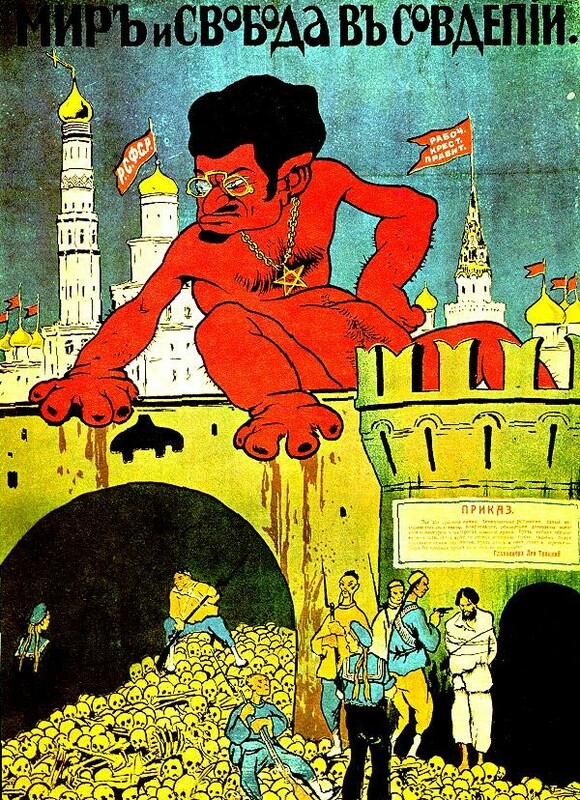 Trotsky’s pain and shock as this antisemitic campaign unfolded inside the Communist party was expressed in a letter to Nikolai Bukharin: ‘Is it true, is it possible, that in our Party, in Moscow, in WORKERS’ CELLS, anti-Semitic agitation should be carried on with impunity? !’ When Trotsky raised the matter at the Politburo he was met with ‘denials or a silent embarrassment’. However, in a development common to all episodes of Left antisemitism, there were plenty of left-wing pro-Stalin Jews in Russia and abroad who were neither silent nor embarrassed. They went on the offensive, attacking Trotsky for smearing Stalin with false charges. These ‘Jewish Voices for Stalin,’ as we might call them, were useful idiots. One, B.Z. Goldberg, writing in the New York Yiddish daily Der Tog, claimed ‘there is no antisemitism in the life of [the Soviet Union] … it is therefore unforgivable that Trotsky should raise such groundless accusations against Stalin’. Plus ça change, plus c’est la même chose. It was the rise of the Nazis that ‘provided the final stimulus for Trotsky to change his position on one decisive aspect of the Jewish question’ writes Mandel. And from 1937 ‘he recognised the right of the Jewish nationality to its own state at least in those territories in which it constituted a self-contained population with its own language’. Hitler provoked Trotsky’s revisions because the Jewish question now ‘came to assume the proportions of a global emergency’. Robert Service also believes that it was only after Hitler came to power in 1933 that Trotsky decided ‘a specific set of measures had to be designed to avert the extinction of world Jewry’. In place of Marxism’s overconfident expectation of a linear and progressive historical development, Trotsky saw plain both the non-simultaneity and non-linearity of history, and the possibility of catastrophe. A year before he died, Trotsky faced up to the possibility that the proletariat could ‘prove incapable of accomplishing its mission’ and the socialist programme could ‘peter out as a utopia’. In such a situation, he thought the new task would be to ‘defend the interests’ of the exploited and oppressed come what may. Something of this sensibility is surely at play in his late revisionist thinking on the Jewish question. It was a sensibility that Deutscher would render tragic and develop into a democratic Left programme for the era of the Jewish state, as I discuss in the conclusion. I think Sean Matgamna has put it best: what Trotsky was proposing in the late 1930s, as the skies darkened, was ‘a different, socialist version of the Zionist territorial state-creating solution’. After all, what else can be meant by his statement that ‘The very same methods of solving the Jewish question which under decaying capitalism have a reactionary and utopian character will under the regime of a socialist federation, take on a real and salutary meaning’? Why else would he then have added, as he did, that ‘the Arabs’ would of course have their own equally ‘extensive and rich’ spot under the same sun? 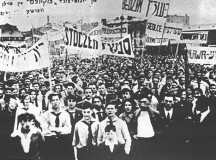 It was because he anticipated the reaction from the Left to this early version of the two-state solution that Trotsky asked ‘how could any Marxist or even any consistent democrat object to this?’ I believe Ernest Mandel is right when he says Trotsky did not became a Zionist and when he says Trotsky ‘would not have rejected the right to a limited state-political autonomy for the Hebrew-speaking minority in Palestine’. And yet, even after acknowledging the force of all these objections, I confess that ever since I was introduced to Deutscher’s metaphor almost 40 years ago as a young member of a small group of left-wing socialists in the British Labour Party, Socialist Organiser, it has seemed to me to be both (a) the analytical alternative to ‘settler-colonialism’ or ‘God’s will’ as an explanation of the conflict and (b) the political alternative to those all-or-nothing maximalisms that are proposed by the extremists, whether Arab or Jewish, as a political programme to resolve the conflict. For those on the Left who would continue in the spirit of the late Trotsky while recognising both the right of the Jewish state to endure and the Palestinian state to come into existence, Deutscher’s approach has much to recommend it: a tragic sensibility, a commitment to consistent democracy, and a belief in deep mutual recognition not ethnic exclusivism. For myself, that points to ‘two states for two peoples’ and, in time, who knows, to the mutual acceptance that could made possible relatively porous borders and more besides, much more than we imagine today. The Left can learn from Trotsky not only about the existence of left antisemitism but also about this fact: every time you find Left antisemitism you also find some left-wing Jews denying it exists and blaming the victims. The left-wing Jewish Stalin apologist B.Z. Goldberg, who said Trotsky was smearing Stalin and that there was no antisemitism in the Soviet Union, is a figure seen throughout the history of Left antisemitism. Realising this, perhaps the left might be a little less willing to reject a claim of Left antisemitism today just because some contemporary B.Z. Goldberg has issued a kosher certificate. Trotsky did not reduce antisemitism to a symptom of capitalist crisis. He posited a connection between the rise of antisemitism in Germany and severe capitalist crisis in Germany (See Geras 1998:72). And he was right to do so. Trotsky is valuable today not least as a corrective to the tendency today to simply equate anti-capitalism and antisemitism, treating any half-radical economic reform proposal as if it were the antechamber to a pogrom. Geras’s warning is still valid: ‘the link between capitalism and barbarism is not to be lightly shrugged aside’ (1998:169). Wistrich puts Trotsky on the couch and delivers himself of what Freud would have called a ‘wild’ psychoanalytic reading of his subject. The analysand Trotsky is laid bare by the analyst Wistrich, and after one session, so to speak. We are told of Trotsky’s ‘mocking eyes’, ‘aristocratic hauteur’, ‘blind fanatical devotion’, ‘unconscious Jewish complex’, and ‘latent anti-Jewish prejudices’ (2012:401). For example, Wistrich claims to find in Trotsky’s political criticism of the Menshevik Martov, an unconscious antisemitic assault upon the Jew Martov. He reads Trotsky’s distinction between Bolshevik intransigence and Menshevik wavering as a proof that Trotsky ‘never fully succeeded in shaking off [the] shadow Jew in his own unconscious’ (2012:411). It seems Wistrich’s access to Trotsky’s unconscious, which surely died along with his body in August 1940, was total. 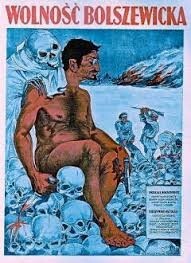 As far as I am informed Trotsky qualified the war against Nazi Germany as an imperialist war. How can such behaviour be qualified? with any interest in deciphering the problems in today’s Labour Movement, anti-semitism, Zionism, Israeli politics, post-colonialism, and the history of prejudices.